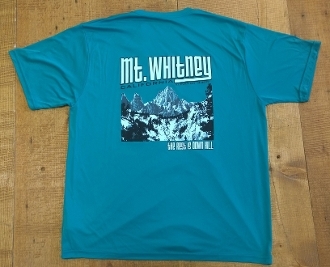 Our Products >> Mt Whitney T-Shirt "The Rest is Down Hill"
Mt Whitney California Elevation 14,508. Ladies and mens sizes available. Cotton-poly blend. "I climbed" option also available upon request (subject to availability). Mt Whitney T-Shirt "The Rest is Down Hill"